All Grain Plus Extract Dunkles Bock homebrew recipe. 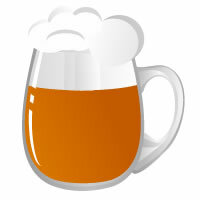 This homebrew recipe uses the following ingredients: Dry Malt Extract - Light - US, Dry Malt Extract - Munich - US, Liquid Malt Extract - Munich - US, Melanoidin Malt - US, CaraMunich I - DE, Mt. Hood Hops, IBU Inject Hops, Wyeast German Ale 1007 Homebrew Yeast. This recipe was cloned from Am Blonde 2 Mt Hood.